I started off by taking a piece of white cardstock and ran this through my Cuttlebug using the PTI Sunrise Impressions 1 Impression Plate. 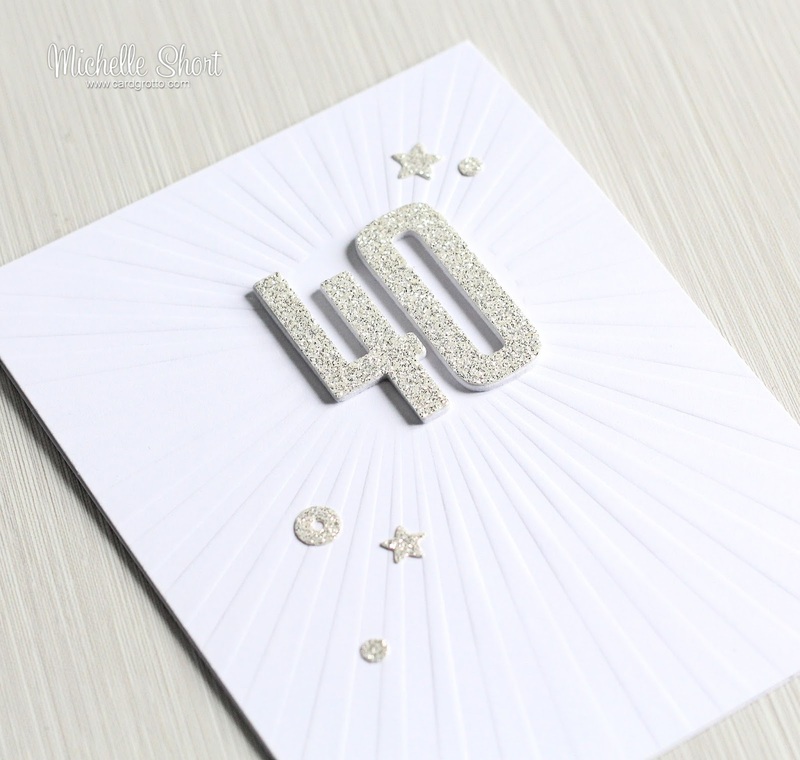 I then die cut the MFT High Rise numbers from Stampin' Up Silver Glimmer Paper. I cut these from foam sheet too. I took the Mama Elephant Confetti dies and cut these also with the glimmer paper. I adhered the embossed piece on to an A2 white card base with ATG. I then layered up the glimmer 4 and 0 on to the foam ones (to give some dimension) with Multi Medium Matte. These were added to the sun part of the embossed background. To finish, I added the little sequin and star pieces. Such a simple design but I think the glitter gives it that extra touch. My camera never enjoys the glitter though, so I apologise for the photos! Thank you for visiting me today. I hope you have a great week! What a fantastic card - perfect for an anniversary! Thanks for the inspiration, Michelle! Absolutely perfect! Spot on. It doesn't and didn't need any other colours or decorations. It's a real statement card. Love it. 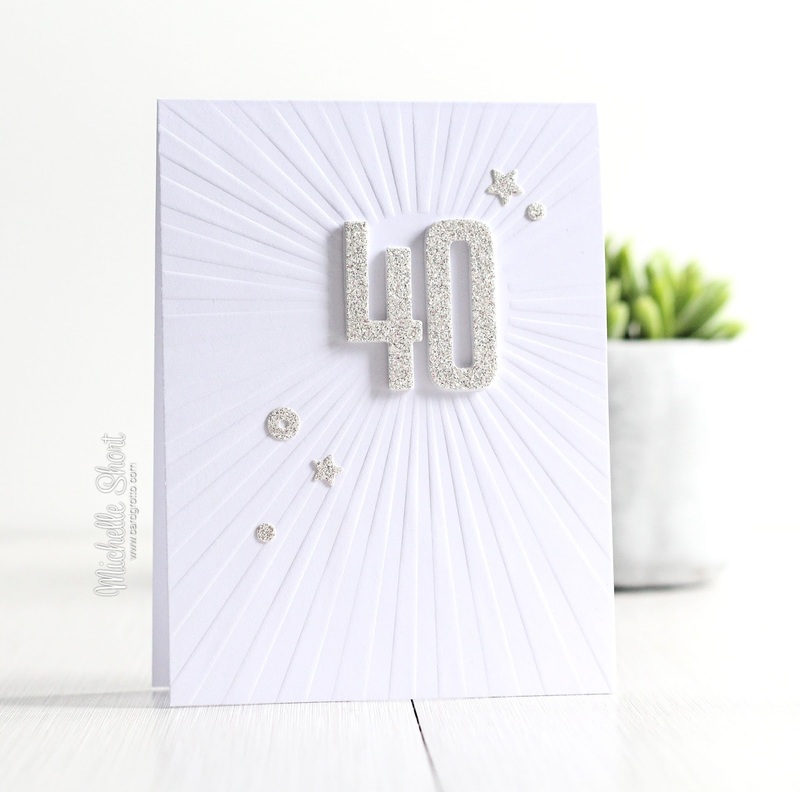 I love this card Michelle, this can be replicated for any special birthday and can be used for men or women! Superb card, I really love this.